Deadpool as an R-rated superhero film franchise is like the cinematic equivalent of what Tinder is to the dating world. The concept was almost unheard of, the vast majority didn't realise they needed it and was initially deemed as too filthy to work. Yet, here we are. In a world where single people have an alternative to the mundane task of flirting with people in person, we're in a wave of alternatives for those tired of going to see a superhero film at the cinema with at least several children being present. I occasionally pinch myself to be sure I'm neither dreaming or have gotten heavily drunk by accident. 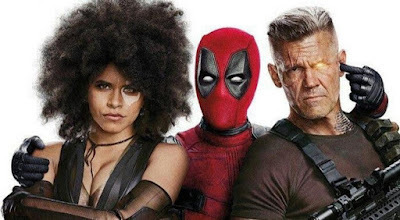 Directed by one of the directors of John Wick; David Leitch (he wasn't credited), Deadpool 2 is a sequel made with full confidence of its success from conception. This is unlike the first film, which contagiously caused the development of multi-million dollar signs in the eyes of every Fox film executive. Does that combination create a film-watching experience similar to clubbing to the Lion King soundtrack on ecstasy? It's around 75% there. Quick synopsis: Deadpool has settled into his life of doing Deadpool things, mostly stabbing and making us all laugh within the first 20 seconds. He's living a happy life with his girlfriend played by Morena Baccarin, one of the sexiest women currently alive. Tragedy strikes. Celine Dion starts singing. 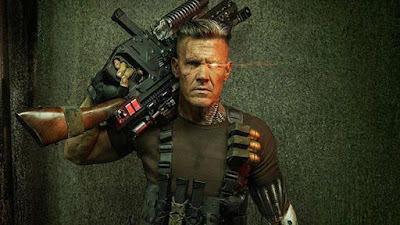 The chubby kid from Hunt for the Wilderpeople is now involved, being hunted by Thano- Cable, a part-cyborg man from the future played by Josh Brolin. It's like a comedic Terminator 2 that isn't followed by a couple of horrendous sequels and a reboot no-one saw (yet). 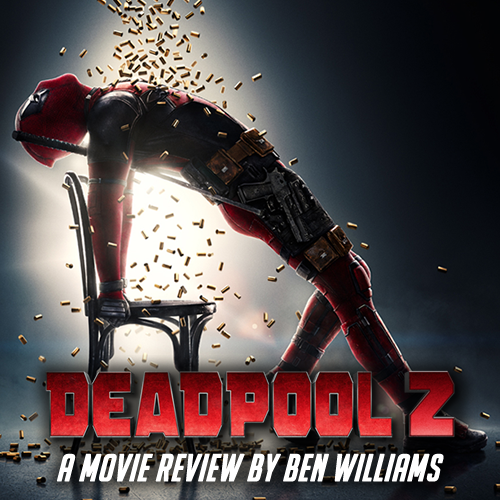 Deadpool 2 is a pure comedy supported by the two Roman marble pillars of decent writing and an irreplaceable performance of its red leather-covered lead. Just like Hugh Jackman IS Wolverine, Robert Downey Jr IS Iron Man and Adam Sandler IS a massive disappointment, Ryan Reynolds IS Deadpool. Just like with the first film, Deadpool 2 is his passion project. A project used to bring one of Marvel's best characters to life in his image. Imagining anyone else at the helm is as impossible as 13 Reasons Why being a good quality series. His skills for comedic writing and delivery are iconic in causing a range of one to five laughs a minute. If it were a roller coaster, it would be one of those at Alton Towers that hasn't actually caused any life-changing injuries. Not all of the jokes land, though. Depending on your pop culture knowledge, there could be times when you're imagining a cricket noise or a tumble weed rolling by. It's a great parody film of a lot of cinema tropes, though you may feel a bit lost if you haven't seen any superhero films in the last couple of years. There's one part of a scene in the third act that was supposed to be a long-running joke that didn't seem to know how to end. 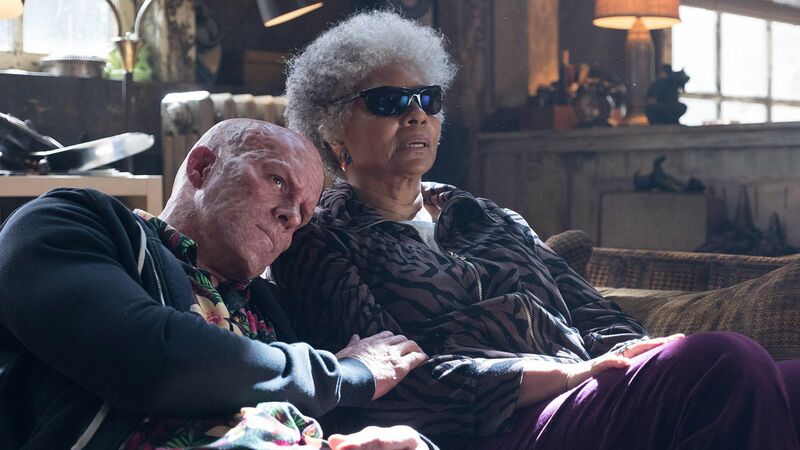 That's only for the minority however, with most of Deadpool 2 being pure "HA HA SO FUNNY I'M GONNA DIE"-level gold that's definitely re-watchable. It's like watching Gemma Collins fall through a BBC stage trap door: it never gets old. 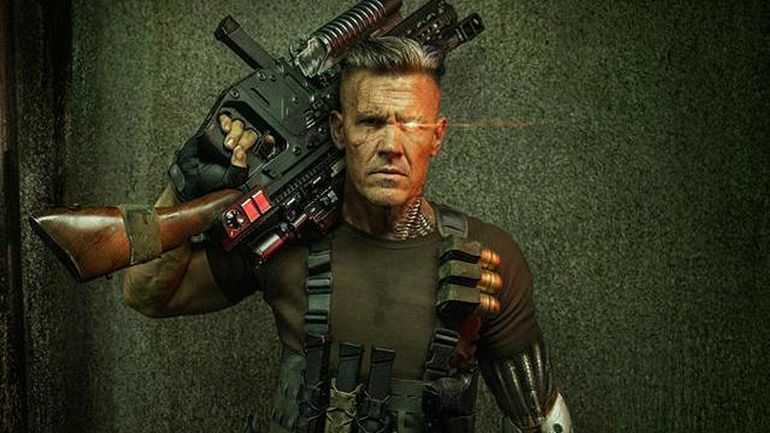 Deadpool 1 was very light on the Michael-Bay scale action scenes due to it's unusually small budget for a super hero film, $58 million. 20th Century Fox were basically the parents from Matilda, giving the Deadpool crew minimal resources to survive, in being sure money wasn't being wasted, before taking as much credit as possible when it became a proven success. 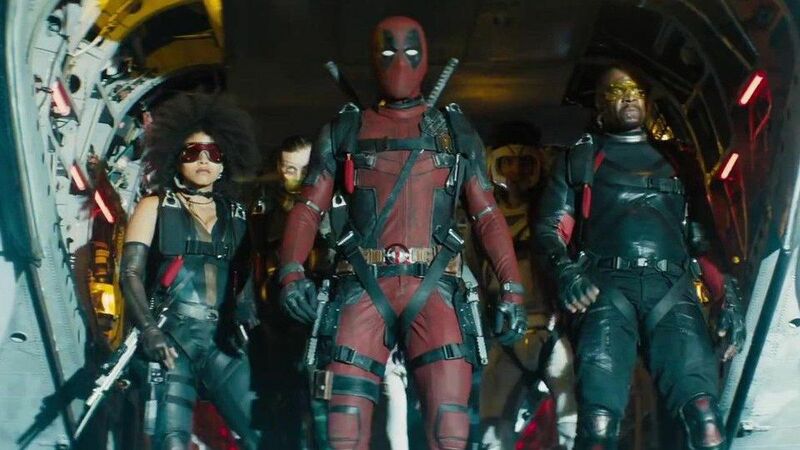 Finally being given the budget it deserved in the first place for the sequel, Deadpool 2 is on a much larger scale that feels more aligned with the comic counterpart. Akin to the Deadpool stories in the Marvel Comic universe, it's grander, messier and just as violent as it should be. Icing on this blood-ridden cake of joy is one of the John Wick directors taking charge, which is oh so delightfully clear when you look for the similarities. Choreography is slick yet brutal where it needs to be. Scenes laden with gun shots and impaling are joyfully rough garnished with gore. These were the type of John Wick scenes that David Leitch's attention was mostly focused, enhancing the action and comedic elements of Deadpool in translation. The narrative itself could've been a bit more focused which is often an inevitable blunder when a sequel tries to expand on what came before with a much larger scale. On the other hand, there were more personal moments without the Deadpool mask, scoping on the Wade Wilson instead of the Deadpool. He's a bit more vulnerable, a bit more tender and a few more dramatic moments that open up for harder-hitting comedy. Whilst disdain for Jamie Oliver spreads among the Western world (2 for 1 pizzas for life), opening up Deadpool's character spreads his love among our hearts. Deadpool 1 is a better film. It has a tighter focus that doesn't let up whilst having a simpler, more cohesive narrative. Still, that doesn't matter. This sequel is around 15 minutes too long but Deadpool 2 does what it sets out to do: being a fun comedy that keeps you laughing whilst still keeping that franchise-unique twist on the genre. The end credit scenes (there's two) alone make any ticket or blu-ray purchase worth your money. Similar to your alcoholic family members, Deadpool's a part of our lives now for at least special occasions and we wouldn't have it any other way.